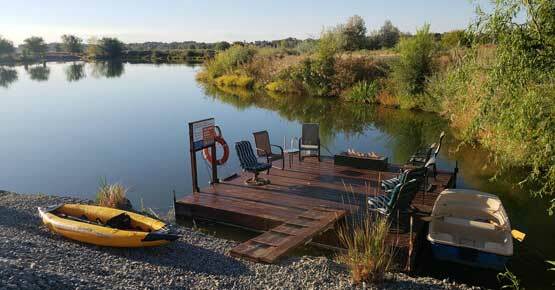 Zillah Lakes Inn offers modern luxury in a rustic lake side setting. 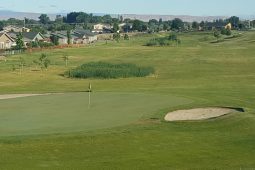 Close to nature and 20+ wineries, Zillah Lakes Inn also has a 6 hole golf course and 2 miles of nature trail to explore. On the lake side rooms you can sit on the patio or around the fire pit with a cup of coffee or glass of wine from your favorite new winery. Any time of day is a lovely time to be lake side. 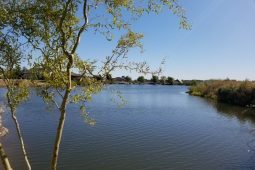 Guests staying in rooms facing the plaza are also welcome to join in the fun by the lake with the fire pit and a walking bridge over the adjacent creek. Dogs that are guests of the Inn can take their people for a walk on the nature trail. 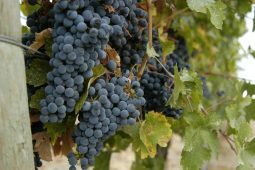 Restaurants nearby are waiting to serve you their best offering from Yakima Valley. Many of the wineries have food offerings on weekends as well. Innkeepers Pam and Doug are happy to help you find nearby activities. 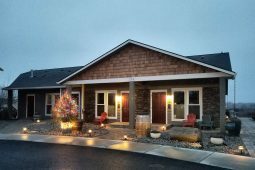 Yakima Valley’s premier boutique Inn offering simple luxury close to nature, in the Rattlesnake Hills Wine region of Zillah, Washington. 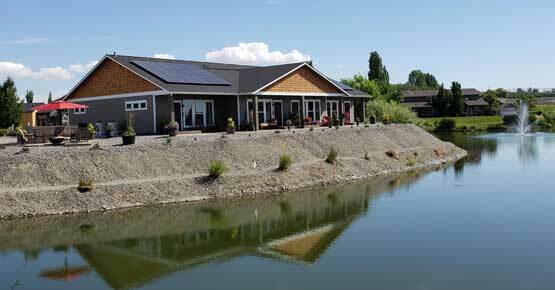 All the comforts of home in the heart of the Yakima Valley – wineries, local culture and outdoor fun abound!